Calling all innovative educators and educational institutions: Steelcase Education seeks partners in active learning ready to use their physical classroom to advance learning in new and important ways. We have a strong passion for understanding how learning takes place and how smarter, more active learning spaces can help. 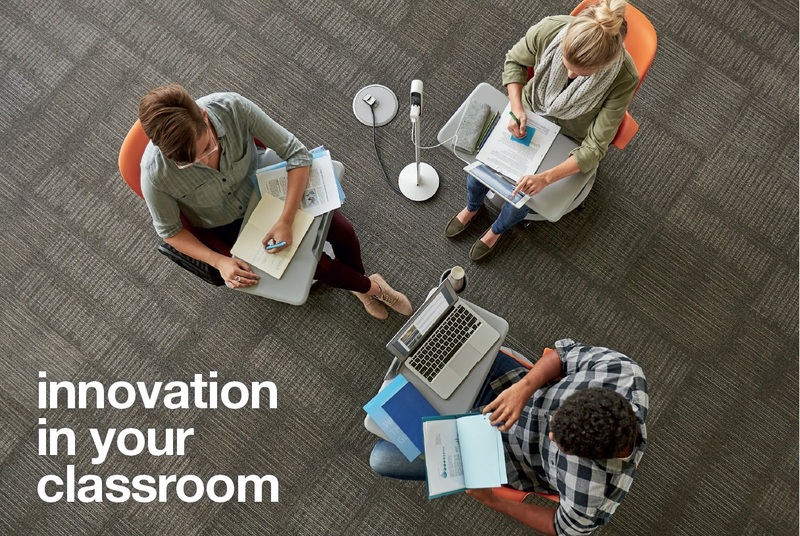 At Steelcase Education, we help schools, colleges and universities create the most effective, rewarding and inspiring learning environments through insight-led research and innovation in furniture, tools and technology. That’s why we’re offering a grant that will provide funding and research for up to 16 Active Learning Centers each year. Each grant will provide furniture, design, onsite training, installation and a Learning Environment Evaluation measurement tool for one of four classroom types designed to elevate connection, improve engagement and spur collective success of students and staff. These classrooms will support up to 30 students. Eligible classrooms must be located in the United States, U.S. Territories, Puerto Rico, Canada or Mexico, serving grades 6 – 12 or within a college or university. Grants are valued at $67,000 and deliver the full impact of active learning: classroom innovation and learning inspiration. Interested in sparking new learning and outcomes in your classroom by leveraging the real power of place? We invite you to apply for an Active Learning Center Grant starting on December 1, 2017. Submissions must be received by Friday, February 2, 2018. Grant recipients will be contacted by Friday, March 23, 2018. Visit here for more information on grant guidelines, submitting a grant proposal or other details.